Leading software designers and teachers of spectroscopy have pooled their expertise to devise a new series "Spectroscopic Techniques: An Interactive Course". 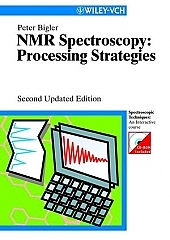 User are able to gain a better understanding of a variety of spectroscopic techniques in these step–by–step guides. Let the experts show you new solutions to practiced problems using software provided on the interactive CD–ROM.The book is very thorough, detailed, extensively illustrated, and the directions about what to do with each spectrum and how to use each feature of the program are clear and explicit.